Another season of Gotham has come to a close, and while this year brought the usual highs and lows fans have come to expect, the two-part finale -- consisting of 'Destiny Calling' and 'Heavydirtysoul' -- managed to both tie up loose ends of the season 3 arc and reinvigorate the series as it heads into season 4 later this year. In hindsight, the introduction of Jervis Tetch (Benedict Samuel) ultimately served as the greatest unifying factor of season 3, culminating in last week's explosion of the Tetch virus across the entire city. Naturally, this affects the show's de facto heroes -- Gordon (Ben McKenzie), Bruce (David Mazouz) and Penguin (Robin Lord Taylor) in different ways. Let's discuss where the season finale leaves each of them as we prepare for the months-long wait until season 4. Since day one, Gordon has been the designated protagonist of Gotham, but for far too long, the show has been wringing his storyline from his darker impulses. After injecting herself with the Tetch virus, Lee (Morena Baccarin) put Gordon in the position to do the same. Ultimately, even the infected Gordon fought off the voices in his head -- declaring him a "killer" -- long enough to make the right choice to administer the antidote to both himself and Lee. The big question now is whether the show will finally move on from its obsession with Gordon's "dark side," as he chose not to act on it this week. Actually, the theme of being who you choose to be was a major throughline in the season 3 finale (more on that later), extrapolating out the narrative thrust of the Tetch virus on a thematic level. Gordon's temporary lapse into darkness did cost the life of Fish Mooney (Jada Pinkett Smith), though her death contributed to the sense that season 3 marked the end of an era for Gotham. With the way the episode ends, it feels like the show is ready to act as a more decisive prequel to the Batman mythos we know and love, and allowing Gordon to act more like the devoted lawman fans expect and less like the tortured soul he's been on Gotham is a step in the right direction. Shout out also to Donal Logue, whose Harvey Bullock really hit home the question of moral ambiguity that has hung over Gordon's story this year. Logue is among the most underrated talents on the show, trapped in the often-thankless role of sidekick/comic relief to the more overtly heroic Gordon, but the actor was absolutely critical to making Gordon's story as satisfying as it ended up being. Also, it's a pity that Baccarin will have to abandon dark Lee going forward (sorry, she's not Harley Quinn), but at least she got the chance to help Gordon set off on its new narrative course, renewing his mission to save Gotham. We've heard a lot of buzz about how Bruce would embrace his role as Batman in this season 3 finale, but did anyone really expect him to enter full-on crimefighting mode by the end? 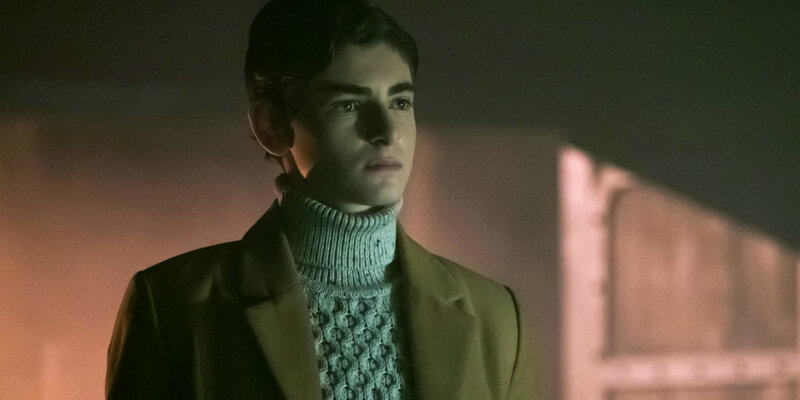 The prospect of a teenage Dark Knight-in-training puts Gotham much more in line with the Smallville-esque show that some may have expected it to be from the outset. 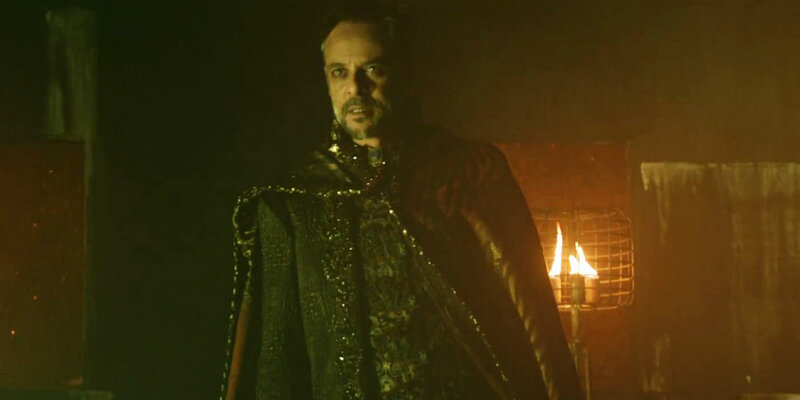 No doubt Alexander Siddig's Ra's al Ghul will play some role in helping Bruce gain his famous combat skills down the line, but for now, seeing Mazouz suit up in some crude outfit so that he can establish a reputation as a vigilante is definitely a smart way to energize the story of Gotham and allow it to move forward. Much like Gordon may be finally moving past his inner conflict, Bruce's experience with the Court of Owls and temporarily killing his beloved Alfred (you have to love those Lazarus Pits) may be enough to push him toward a more proactive direction. For the past three seasons, he has been pining to know the full extent of who was behind his parents' murder. But that storyline is over now. Bruce needs a new path, and it appears that Gotham is finally ready to hone in on proto-Batman. His poignant interactions with both Alfred (Sean Pertwee) and Selina (Camren Bicondova) also set the stage for his relationship with both in the classic Batman lore. The former is officially recognized as family, and the latter is already poised to become Catwoman, even going so far as wielding a whip for the first time. 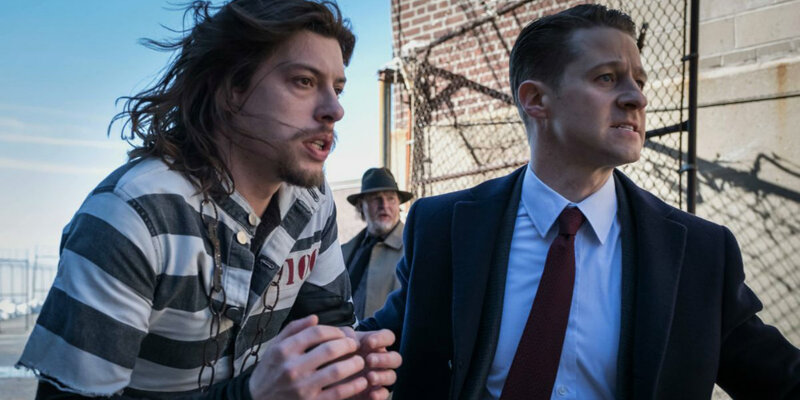 With Bruce's story where it stands, Gotham seems ready to open up a new chapter. Let's hope season 4 lives up to that promise. Fish's return may have been an failed coup of the Gotham underworld, but it did give Penguin the opportunity to re-establish his grasp on it. His mentor's death gave Penguin the nudge he needed to finally outsmart Riddler (Cory Michael Smith) and begin planning the Iceberg Lounge the character famously runs in the comics. 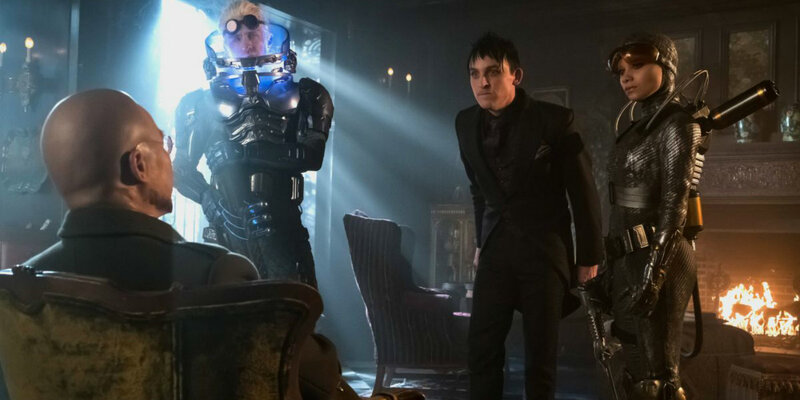 The complex relationship between Penguin and Riddler has been a major focus this season, and the finale didn't disappoint, as audiences were led to believe that Riddler would have the upper hand. Instead, he wound up getting the Han Solo treatment by the end, relegated to being a token in Penguin's new club. With Tabitha (Jessica Lucas) left running The Sirens, we suspect that the two establishments will go to war in season 4. After all, Penguin constantly finds himself in one. Speaking of The Sirens, the uneasy alliance between Barbara (Erin Richards), Tabitha and Butch (Drew Powell) certainly came to a violent end. The latter pair had been plotting to dispatch with the insane Miss Kean, but she kills Butch and confronts Tabitha, getting electrocuted as a result. Of course, few deaths really stick on Gotham, and though we're still not sure what state Barbara will be in when she eventually resurfaces, we're happy that Powell appears to be remaining a part of the cast. Butch has traditionally been one of the only original characters on Gotham, but we should have suspected that the show would retroactively transform him into a classic villain. Rumors had swirled that Butch would turn out to be Solomon Grundy, and this week confirmed that, with his birth name as Cyrus Gold. As usual, all bets are off. So whether it's Scarecrow, Bane or another member of Batman's rogues' gallery, we say "bring them on." Bat-teen can use all the practice he can get. Gotham returns for season 4 Thursdays this fall on FOX. Next: Will Bruce Become Batman in Gotham’s Season 3 Finale?